As low as $42.50 per gallon! 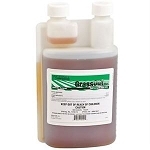 Agrisel Gly Pho-Sel Pro 41% is a high quality fast acting systemic total vegetation weed killer. Sprayed on weeds and grasses, Gly Pho-Sel Pro 41% starts working fast, within 1-2 hours, and kills weeds and grasses on contact, roots and all. With the same active ingredient as “Round Up Pro®”, Gly Pho-Sel Pro 41 % gives fast and total vegetation and weed control. 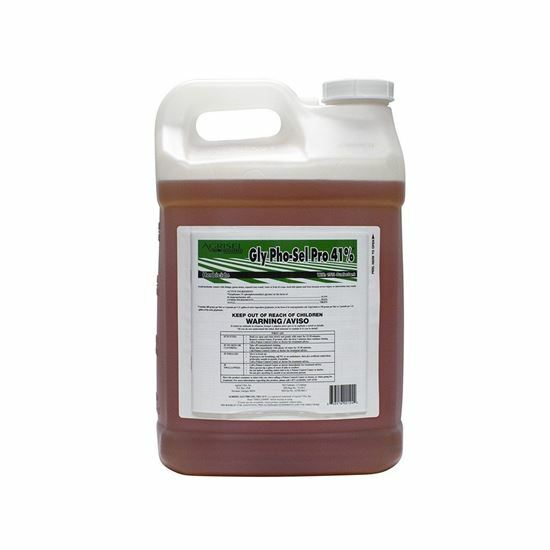 Gly Pho-Sel Pro 41% can be used by homeowners, golf courses, landscapers, and in agriculture, turf, ornamental and non crop markets. Highly concentrated with 41 % glyphosate and a 15% surfactant, Glyphosel Pro 41% kills weeds fast and completely. 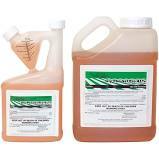 All around total vegetation herbicide labeled for use on turf and ornamental, crops, nursery, greenhouse, and landscapes. Contains 41% glyphosate with 15% surfactant for a fast, efficient kill. The only glyphosate on the market that says “With 15% Surfactant” right on the label so you know what your getting! Highly economical formulation for low use rate. Ratio: Only 2-3 ounces of water per gallon for smaller weeds. 3-4 ounces of water per gallon for bigger weeds.